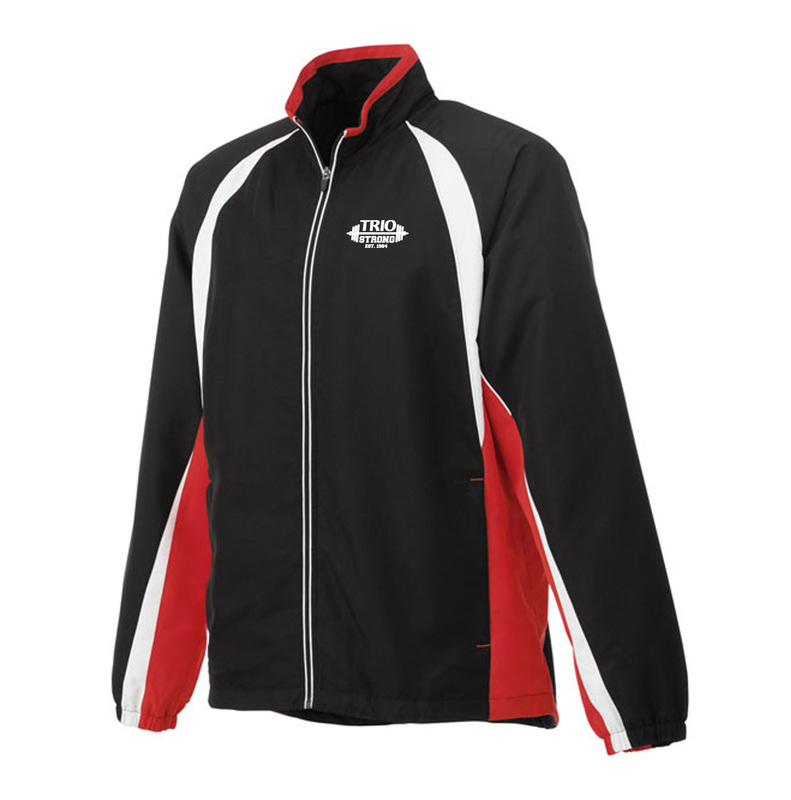 Water-repellant track jacket with sporty diminishing contrast piping features an autolock zipper pull and concealed coil zipper pockets. With contrast bartacks and outer collar detail. Adjustable elastic drawcord at hem with interior cordlocks. Handy interior pocket with hook and loop closure and elasticized cuffs. Taffeta lined. Available in four color choices.